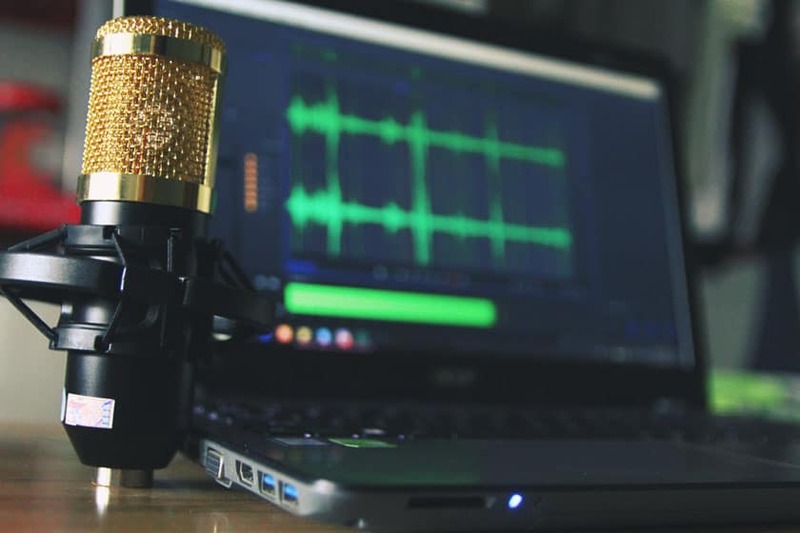 It is easier and cheaper than ever to build a high-quality home recording studio, and more and more artists are choosing to go down this route. However, without proper planning, it can quickly come with a hefty price tag attached to it. This is why we’ve created a list of ideas to help beginners get started. We’ll show you the best studio essentials to build it like the pros. You can turn your ideas into reality by setting up a studio desk, computer and audio interface for your microphones. You could have a smaller setup with headphones or go big with monitors. 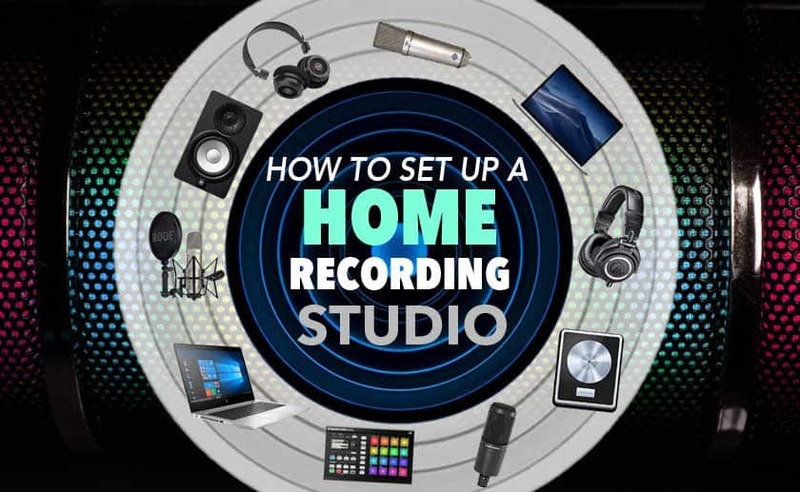 Here are our ideas on how to set up the best home recording studio. Your desk will be the hub of all of your equipment. Make sure you’ve set up space to have your desk, computer and monitors to all be placed appropriately. Some desks are designed for studio equipment but, depending on your setup, you will probably be fine with any desk. Just make sure it’s sturdy and can hold all of your equipment. Before you decide to kit yourself out with your own gear, make sure you get a better idea of the recording process first so that you’re familiar with the equipment and skills required to make a great recording and/or mix. 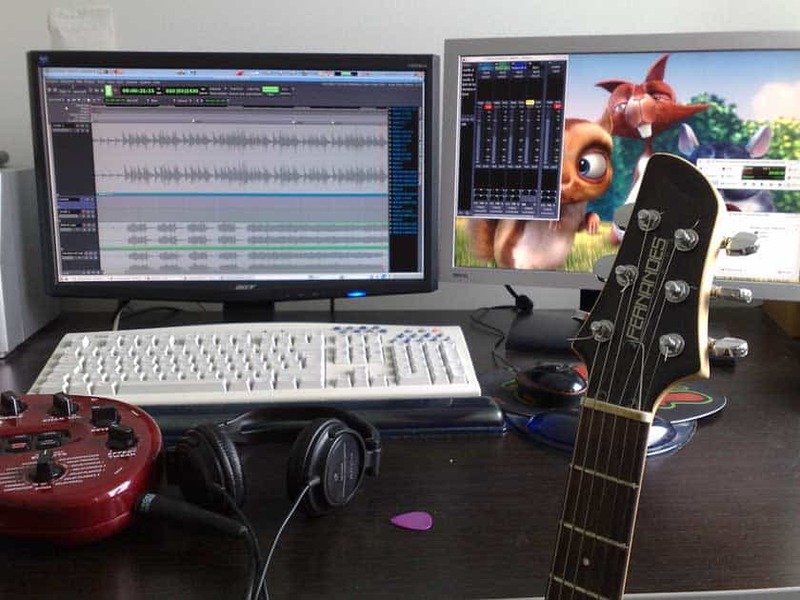 The basic need for any home recording studio is a computer. If you’re using a laptop, it is a good idea to use an Apple MacBook Pro. Whilst you could use a Windows PC, it is much more common for home studios to use Apple equipment. It doesn‘t necessarily need to be the latest model, but it needs to have enough power and hard drive space to store and process a large number of files and plugins. Desktops are often used in professional recording studios because they are generally faster and easier to update. 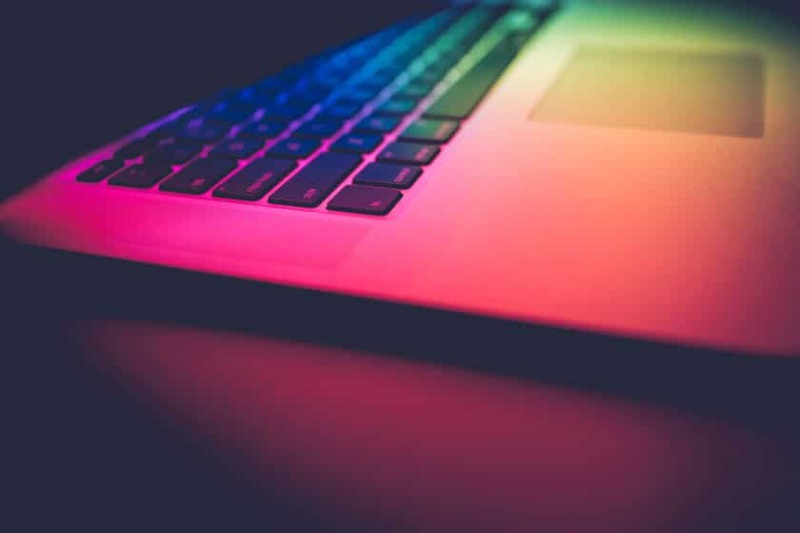 However, laptops are becoming increasingly more popular as they are more powerful than ever and a better choice for musicians who travel often. If you’re trying to work out what specifications you would need for your computer, get an idea of how much you are able to spend, then take a look at what you can afford. There will be plenty of second-hand options available that meet these criteria! Consider, also, whether you’d like to invest in a laptop or desktop computer. Desktops are often used in professional recording studios because they are generally faster and easier to update. However, laptops are becoming increasingly more popular as they are more powerful than ever and a better choice for musicians who travel often. They are also usually cheaper and easier to find a second hand or refurbished, although there are plenty of Mac® Minis on the second-hand market for those set on a bedroom desktop setup. The digital audio workstation (DAW) is the mechanism that allows you to record, edit and produce your audio files. It can come in the form of an electronic device or software that you can download on your computer. Created by and exclusive to Apple, Logic is very user-friendly so is ideal for those with little experience with using complex software. It offers a sufficient amount of functionality while also providing lots of scope for songwriters to work creatively with a variety of preloaded software instruments. It has a similar feel to Garageband, so if you’ve used this previously, this will be an easy transition. Taking a completely different approach to other DAWs, it puts creative ideas and experimentation in the forefront and allows users to work in a non-linear way. Originally designed for live performances, it offers plenty of features, like live looping, playback tracks, live effects processing, DJing and launching clips. A free software from Apple that comes on every Mac. It’s a streamlined version of Logic Pro X but is a great DAW to get started in if you’re a beginner. Reaper is available on PC and Mac and it’s cheap price makes it attractive for a lot of musicians. It is very popular amongst the people who use it and is growing in users. This DAW takes a more unconventional approach and the idea behind it’s design is to emulate a rack of synthesisers. This makes it great for electronic music and it’s latest updates have been highly acclaimed. 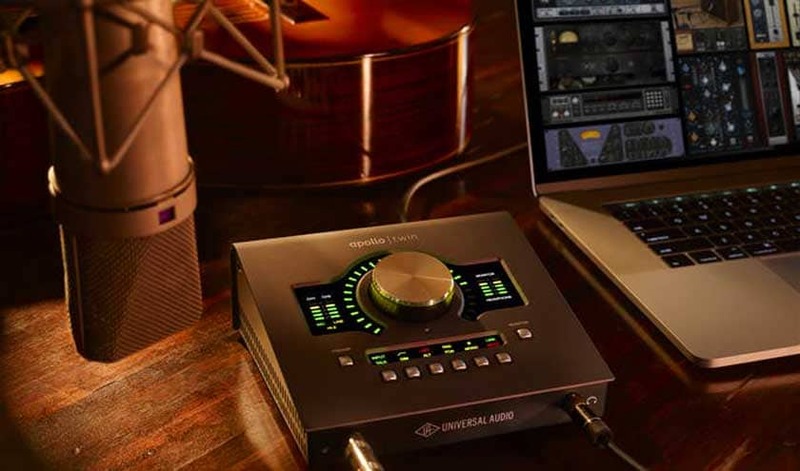 Compatible with both Mac and PC devices, Studio One is rapidly gaining in popularity and places focus on making the songwriting process easier with minimal prior technical knowledge required. An audio interface, or an external sound card, is what will enable you to record audio, such as your voice or any instrument, via a microphone or instrument cable and transmit this in and out of your computer. As a vocalist who might only use one or two instruments, you won’t need an interface with loads of inputs, so can opt for one that is simpler and therefore cheaper. Almost seen as the staple in home and project studios. Focusrite has been around for years, their interfaces are highly respected and used all over the world. They have interfaces to suit every budget, with the most budget-friendly option being the Scarlett 2i2. We like it because of its simplistic design, portability and professional sound. It will also allow you to use Universal Audio’s highly rated plugin software through the interface. One of the highest price points for a smaller interface so might not be a great idea for those starting out. At under £70, it is one of the cheapest audio interfaces out there and still offers high-quality sound recording. It is ideal for singer-songwriters who want to record and perform live with a mic and an accompanying instrument. It works well with iPad, iPhones and is also compatible with Windows and Mac devices. Light and compact, this device is great for travel and offers industry standard sound quality with the same studio design found in Audient’s professional ASP studio consoles. It’s also compatible with both Mac and Windows computers and is user-friendly and simple to use. 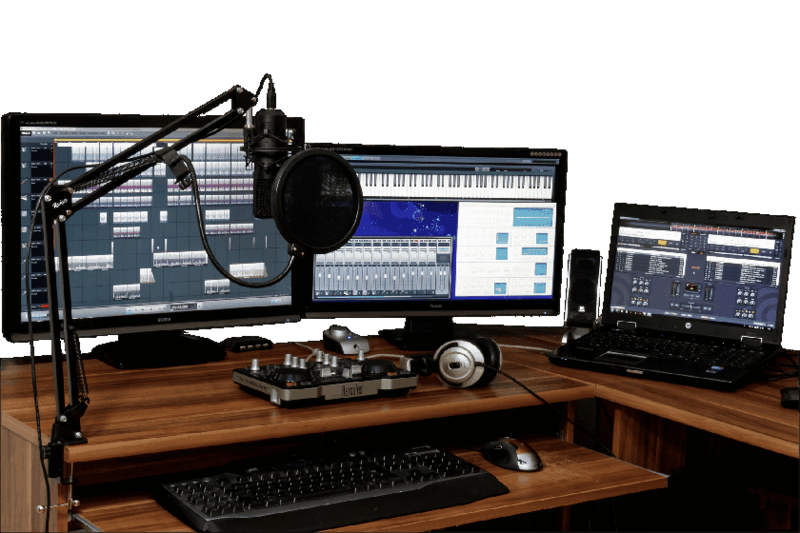 Getting the right monitors is hugely important as it will impact your recording and mixing performance — if the sound quality isn’t up to scratch, this will increase the risk of making editing mistakes and overlooking faults. Professional recording studios always have at least two speakers placed on either side of the computer or laptop and the rooms are better suited for mixing. If you decide to invest in a pair of monitors, make sure you consider acoustic treatment of your room, and always reference other songs so you can hear how professionally produced songs sound on your speakers. Whilst smaller monitors can be great for home and bedroom studios, it may be a better idea to start with a pair of professionally designed mixing headphones if your room isn’t treated. Opt for closed-back headphones, as these will prevent sound from escaping which makes them better suited for recording. We recommend condenser microphones because of their ability to capture a detailed vocal recording. The microphone is the final piece of the equipment needed for your recording studio. 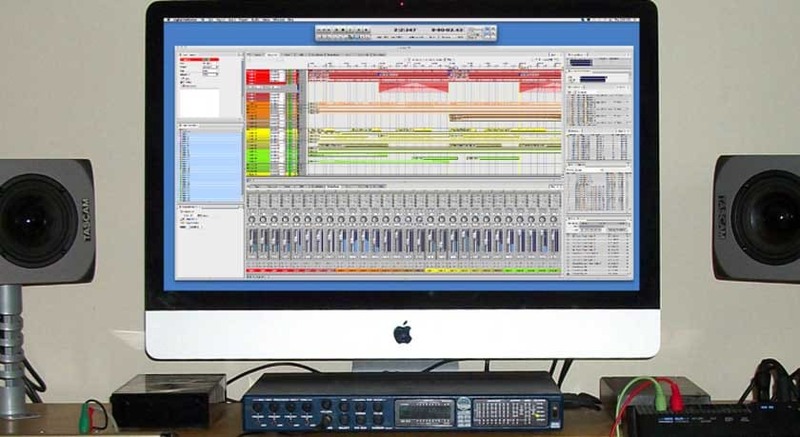 It goes without saying that this purchase can make or break your recording process. You want your vocals to shine, so choose your mic carefully. It is a good idea to look at this purchase as a long term investment but there are still budget-friendly options out there. Consider the acoustic space you want to set up your recording studio in and how it will impact the audio. To maximise the quality, make sure that you remove the potential for any unwanted resonance or echo by dampening the room with acoustic panels. Setting up a home recording studio is no small feat but it is immensely rewarding once put into practice. You’ll notice that the items listed above are just the bare bones and that there is a vast amount of other equipment you can add to embellish your studio further. If you’re setting up a bedroom studio, you’ll need to go for smaller equipment, which also tends to be cheaper. A big amplifier just isn’t feasible in a bedroom environment so try to keep everything condensed. Avoid making the mistake of thinking that you need to purchase everything at once and spend a lot of money on the best equipment: this can get overwhelming and unnecessarily drain your bank account. Start simple and with fewer pieces, and build this up slowly as you gain more experience and recording skills. “You don’t need to have the most expensive equipment to create great music, just a drive fuelled by passion and a willingness to learn new things.” according to Luke Targett, Studio Engineer at River Studios. For more on recording at home click here. Hopefully, our suggestions will help know more about what gear you want to get. It is an expensive process but you could set up the entire home studio on a cheap budget. The essentials are the computer, audio interface and microphone but this could all be done on your phone. The iRig is a cheap audio interface for your phone and combined with a cheap microphone and recording app, you could be up and running straight away for a few hundred pounds. Check out our list of phone apps to find out more. Make the most of your phone! Steve Lacy used an iRig and an iPhone for ‘Pride’ on Kendrick Lamar’s Grammy and Pulitzer Prize-winning album, ‘Damn’. Guitarists beware of huge cabinets. They may be a great idea for big stages but are not the ideal for a home studio. Valve amps under 5W, solid state amps and modelling rack units like Kemper’s profiling amp can all sound great on recordings. As with guitar cabs, drums can be harder to capture in smaller homes and, as a result, can damage relationships with the neighbours. Sampling pads such as Rolands SPD-SX can be a useful alternative. To improve your workflow, consider purchasing a small MIDI USB keyboard. such as the M-Audio Keystation would be suitable. It can significantly improve the speed of workflow. More useful articles around this subject include; what to expect at a music studio and choosing a recording studio and producer.